There are many reasons for planting native plants in your yard or at your school, some of which are more self-centered than others. You don’t need to be an environmentally-conscious gardener to enjoy the benefits of native plants. Native plants can benefit the environment, but they also do more for a yard or school. Native plants require little care or maintenance, so planting them in your yard or school can save you both time and money. In their native environment, plants require little, if any, fertilizers or additional watering. Well-acclimated to the natural soil fertility and compositions, as well as to the regular amounts of rainfall, native plants are extremely low-maintenance. It is possible to spend thousands of dollars over the course of just a few years to maintain a landscape filled with non-native plants. Instead, you can spend only 1/10 of those maintenance costs on native plants. According to a study by Applied Ecological Services, maintaining non-native turfgrasses cost nearly seven times the amount of money spent on maintaining native grasses over a 20-year period. Native plants also require far less amounts of pesticides and other chemicals. Non-native plants are more susceptible to pests and diseases, requiring chemical treatments. These pesticides, fungicides and other chemicals leach into the soil and spread beyond the infected plants, often contaminating drinking water, lakes, ponds, streams and rivers. Most of these chemicals are also highly toxic to humans and animals. At schools where children are often playing around these plants, contact with large amounts of pesticides can cause harmful effects on their health. Spraying plants with certain pesticides can harm beneficial pollinating insects, such as butterflies and bees. According to the U.S. Environmental Protection Agency, more than 70 million pounds of pesticides are applied to lawns in the United States every year, most of which wouldn’t be necessary if the yards contained all native plant and grass species. Not only do native plants mitigate harmful effects on the environment, they also provide a wealth of benefits. Native plants help to preserve the native animal and insect populations, providing natural shelter and food for wildlife. Often, non-native plants provide little food or shelter for the native wildlife populations. Native plants also remove carbon from the air, while requiring little to no mowing or pruning by gas-powered garden tools, thus reducing the amount of carbon released into the air. Another benefit of planting native plants at your school is that they help to demonstrate a balanced ecosystem, providing an important teaching tool for students right outside the school’s walls. U.S. Environmental Protection Agency: Why Should I Use Native Plants? 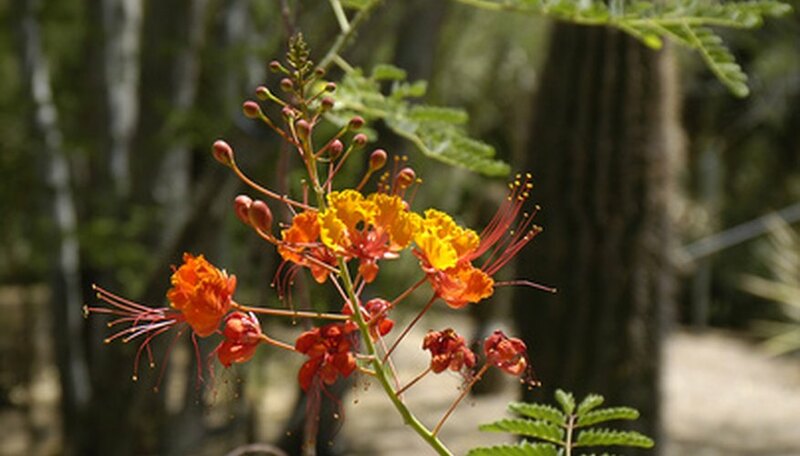 Lady Bird Johnson Wildflower Center: Why Native Plants?